It’s getting to be that time of year to start preparing for dorm life! 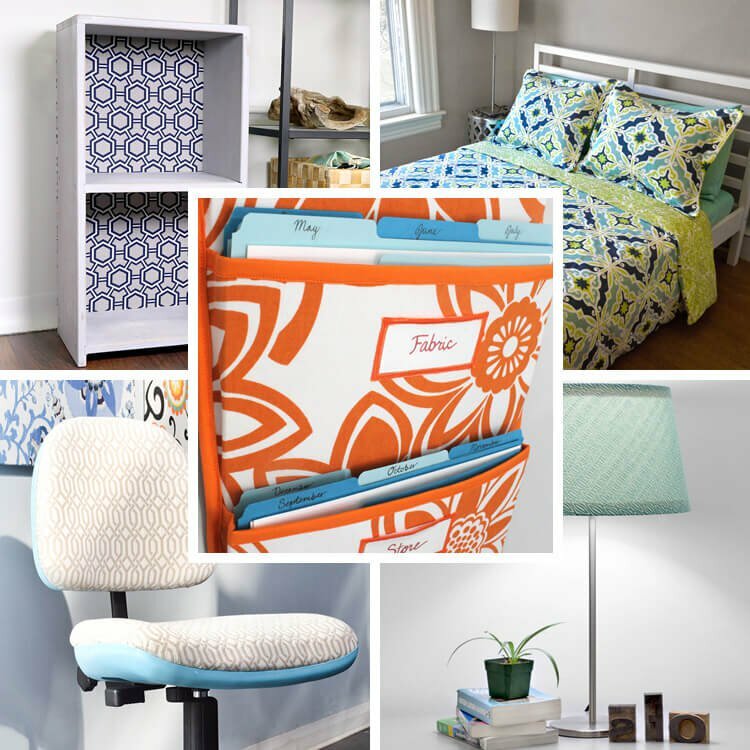 Make your new living space feel more like you by making some projects for your dorm. These projects all involve decor fabric, so check out our huge inventory of prints and solids to find your favorite fabric. We have many supplies to complete your projects too! Keep your work organized with this pocket organizer. Hang it on a door or on the wall to free up desk space. 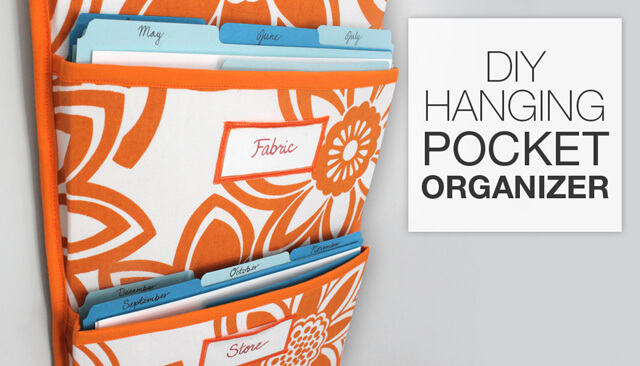 You can add more pockets or change the size to meet your organizational needs. This one is sized to fit file folders. You also have the option of adding clear vinyl pockets for labels. We used a drapery fabric, broadcloth, and a heavy stabilizer to make it rigid. Check out How To Make a Hanging Pocket Organizer to see the full tutorial and video instructions. 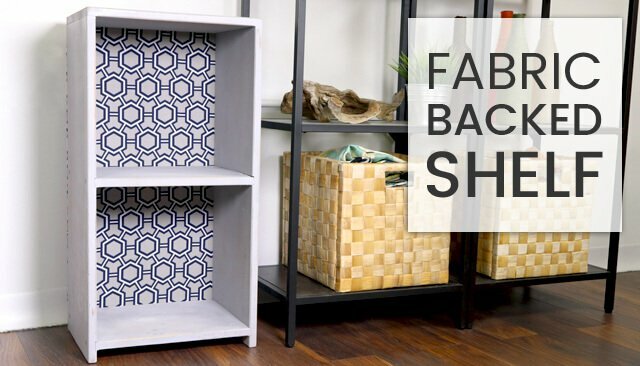 If you have a boring set of shelves, jazz it up by adding fabric to the back and painting it. For dorms, small shelves like this one also make a good bedside table. You can even make a fabric woven basket or fabric storage bin to go in it. Use any fabric you like for the back. Drapery fabric works well. We painted it with Rust-Oleum Chalked Paint, which has a very matte finish and can be sanded and distressed. You can also use other kinds of paint or spray paint. Check out How to Make a Fabric Backed Wooden Shelf to see the full tutorial and video instructions. 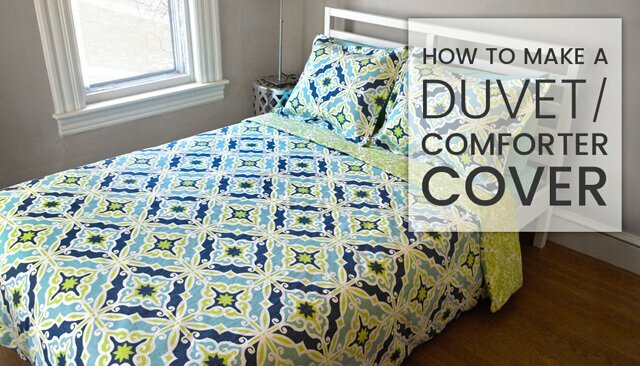 Make a duvet cover to make your bed your own, and don’t forget a matching pillow sham! You can use quilting weight cottons, sheeting fabric, broadcloth, pre-made flat sheets, or decor fabric. We used Premier Prints drapery fabric. Choose different fabrics for the front and back if you want it to be reversible. Or you can use a flat sheet on the bottom and a more decorative fabric on top. Check out How To Make a Duvet (Comforter) Cover to see the full tutorial and video instructions. 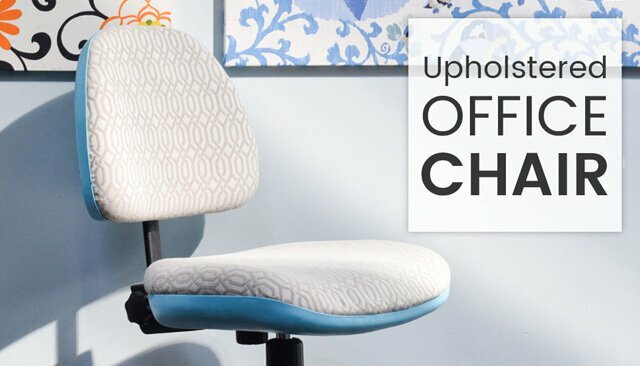 If you have an old office chair that you’re bringing with you, giving it a makeover is an easy way to bring even more personality to dorm for not much money. We used an upholstery fabric and spray painted the plastic backings with Rust-Oleum. Check out How To Reupholster an Office Chair to see the full tutorial and video instructions. 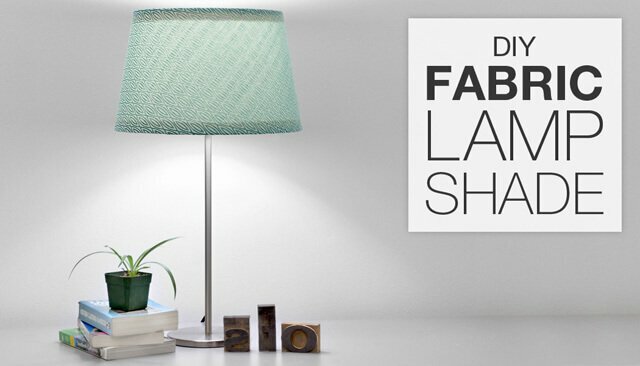 Another way to bring style into your dorm room is by covering a boring lampshade with fabric. This is a quick and easy no sew project that you can customize. We used decor fabric, but you can also cover your lampshade with quilting cotton or linen. Check out How To Cover a Lampshade with Fabric to see the full tutorial and video instructions.